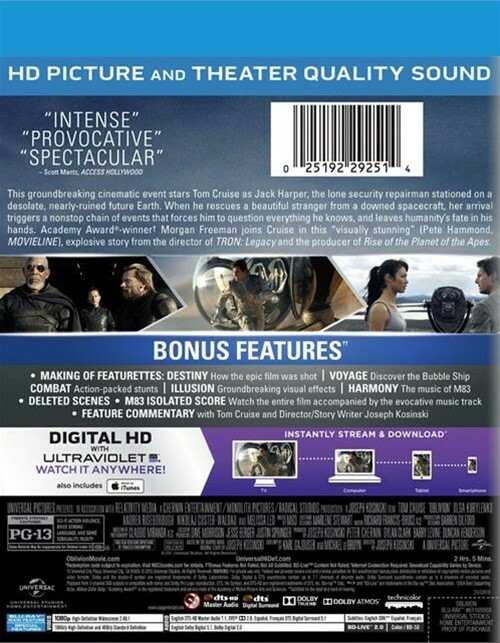 This groundbreaking cinematic event stars Tom Cruise as Jack Harper, the lone security repairman stationed on a desolate, nearly-ruined future Earth. When he rescues a beautiful stranger from a downed spacecraft, her arrival triggers a nonstop chain of events that him to question everything he knows, and leaves humanity's fate in his hands. Academy Award-winner Morgan Freeman joins Cruise in this "visually stunning" (Pete Hammond, Movieline), explosive story from the director of TRON: Legacy and the producer of Rise of the Planet of the Apes. 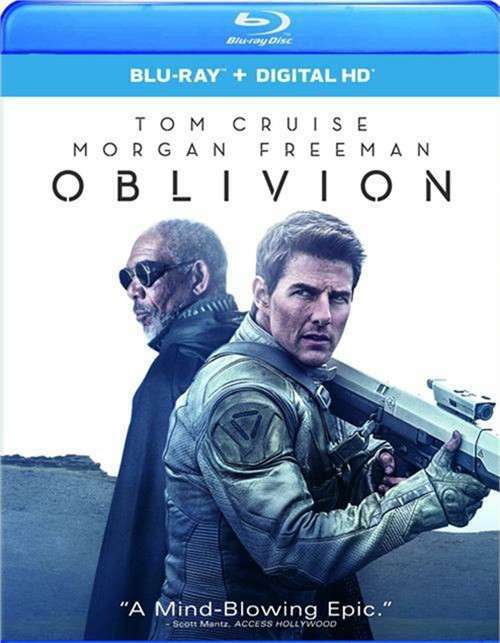 Review "Oblivion (Blu-ray + UltraViole"
Reviews for "Oblivion (Blu-ray + UltraViole"